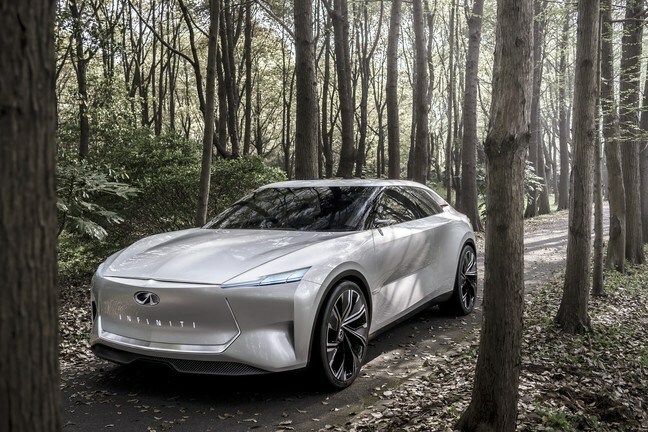 The Qs Inspiration is set to be globally revealed at Auto Shanghai 2019 next week, however Infiniti has just released its first real photo image to us! This new Infiniti sports sedan concept vehicle offers electrified All-Wheel-Drive (e-AWD) Power, along with an elevated driving position – and gives us a new perspective on design and layout! The Qs Inspiration has been developed to accommodate an electrified powertrain, which will thrill drivers with sustained power delivery and instant acceleration! In addition, the raised driving position offers a better view of the road! The Infiniti Qs Inspiration will be revealed at Auto Shanghai 2019 on April 16th. However if you can’t make it to the Auto Show, and are interested in learning more about Infiniti, please stop by and see us at our dealership, or feel free to take a look at our website and view our new Infiniti Online Inventory!